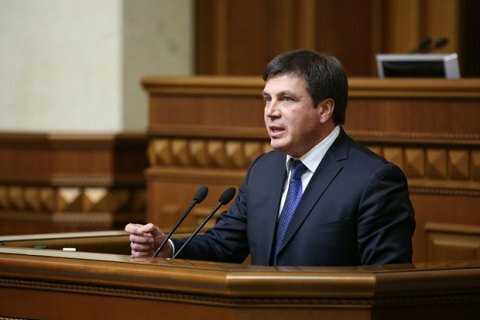 According to a preliminary agreement, the current Deputy Prime Minister Hennadiy Zubko may be appointed as economy minister in the government of Volodymyr Groysman. LB.ua has learned that from its own sources. According to the source, Bankova wants to see Zubkov in any composition of the new government: "If this attempt fails, the second option for Zubko will be the fuel and energy ministry." The new lineup of the Cabinet with Volodymyr Groysman at the head was unveiled earlier today, . However, no candidates were named for the ministerial posts for economy and energy. Also discussions are underway about the position of the Minister of Culture: BPP wants Yevhen Nyshchuk, the People's Front insists on Vyacheslav Kyrylenko. Hennady Zubko now combines the posts of deputy prime minister, minister of regional development, construction and housing, He is an old ally of the President Poroshenko.